Adrian Burragubba, cultural leader and senior spokesperson of W&J, in a media statement has said that the top natives’ body has “moved” against a decision of the National Native Title Tribunal, supported by the Queensland government. The decision allows mining leases for the Adanis ‘Carmichael coal mine “without consent of the Traditional Owners”, he added. 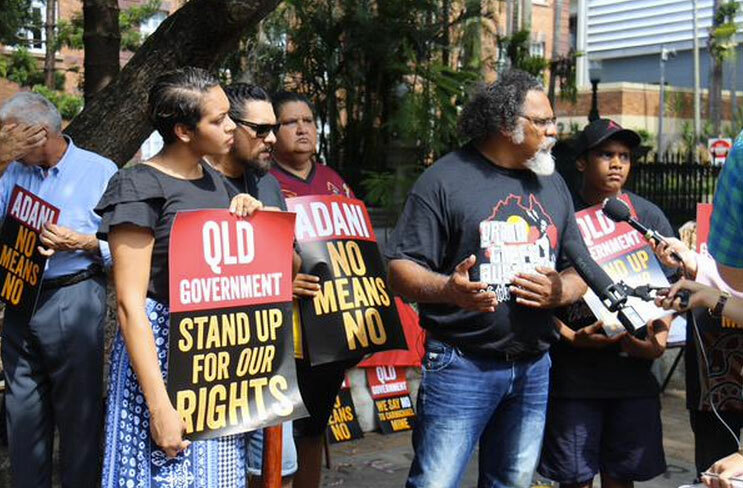 “The Adanis have justified its mine in the Native Title Tribunal with false claims that it will create 7,000 jobs and generate huge economic benefits. We say that these claims mislead the Tribunal and amount to ‘conduct analogous to fraud’,” Burragubba pointed out. “The Tribunal accepted the Adanis claims without proper investigation, and put these lies ahead of our rights as traditional owners”, he added, accusing the government authorities of neglecting W&J people’s rights. Adanis are known to be close to Prime Minister Narendra Modi, one reason why the Australian mining project has acquired national importance in India. “Further, we were denied natural justice and due process in the Tribunal. My submissions were ignored and proper inquiry into our refusal to consent and our concerns for the protection of our traditional lands and heritage, did not take place”, Burragubba contended. Pointing towards the need to save environment, Burragubba said, “Our purpose in saving the Doongmabulla Springs, the Carmichael river and the Moray Downs area is to protect the vitally important evidence of our history and connection in the land”, Burragubba stated. “The significance of the totemic beings, rituals, ceremonies and ancestor dreaming associated with the Carmichael mine area is essential to our identity and to our claim for our rights in land”, he insisted.